for producers of Progressive, Minimal and Techno music. so you can use them in your original productions at no extra cost. This pack contains 250 loops recorded at Audio CD quality, including No Kick loops, as well as WAV and REX formats. 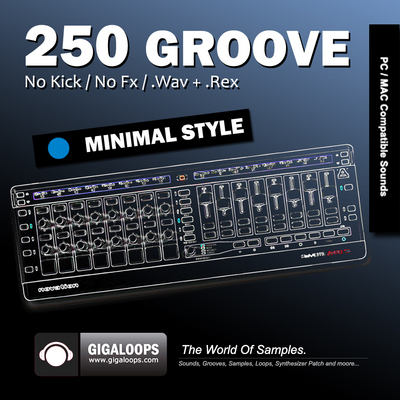 All loops are at 120bpm for ease of use, and are compatible with all major music software.